$500 PayPal Cash: New Year's Bash Giveaway Ends Jan 30 2015! HAPPY NEW YEAR! Did you spend a lot on holiday gifts and celebrations in 2014? Are you eager to recoup some of your funds and increase your cash-flow? I'm excited about sharing this fantastic giveaway with YOU. If the holiday season put a dent in your tent, now is the time to jump right in and enter our blowout $500 New Year's Bash Giveaway. You can enter from any part of the world and, if you win, you will be $500 richer without spending a dime. How does that sound? Yep, I'd be all in too. 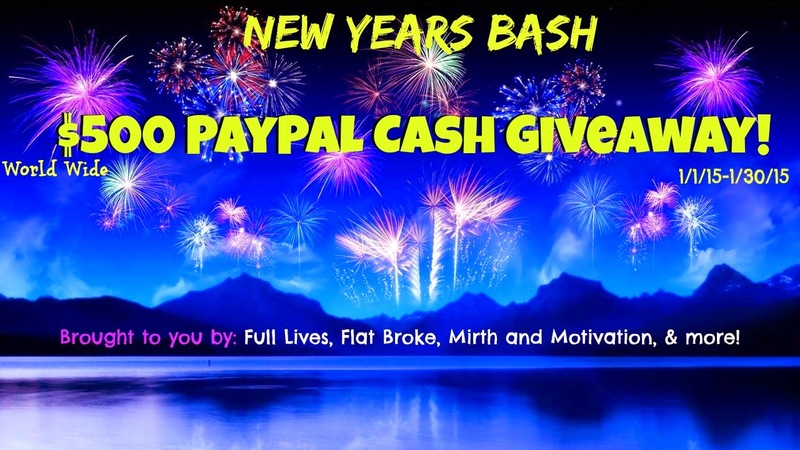 Enter our $500 PayPal Cash: New Year's Bash Giveaway TODAY! Megan of Full Lives, Flat Broke brokered this deal with a group of bloggers, and we want to show our gratitude to all our readers by helping one lucky winner celebrate the beginning of 2015 in a great way. But there is more... the best part of this special giveaway is that it doesn't end tomorrow or the day after. It's a new year's bash that keeps going till January 30th. You read that right! This Giveaway ends on the 30th, and the more times you stop by to add your entries, the greater chance you stand to be that lucky person. So if you could use some serious cash, I know I could, enter NOW for a chance to win BIG. Good Luck! Disclosure: This blog did not receive compensation for this giveaway. Facebook, Twitter, Instagram, & Pinterest are in no way associated with this sweepstakes. Prize fulfillment will be handled by sponsor. HAVE A HAPPY AND ABUNDANT 2015 & GOOD LUCK! I sure could use that $500! Great giveaway! Good luck to everyone joining! Awesome giveaway! All the best to those who enter! Another marvelous giveaway! Thanks for the chance. This sounds amazing indeed. If I would win I would use it for a new TV and I don't know anyone that couldn't use extra cash after the holidays. I will have to sharing this for sure. Thanks for sharing. That is a great giveaway! Who couldn't use a little extra cash, right? Great giveaway, who couldn't use an extra $500 ?! So sweet of you to do this! I am not entering, but I hope someone that really needs the money wins!! Happy Birthday! I hope you win! 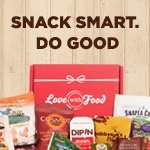 This looks like a great givaway! I'm sure most folks could use an extra $500, good luck everyone! WOW that is a huge and awesome giveaway! Huge congrats to whoever wins it! $500.00 is a pretty sweet giveaway! Thanks so much! What a great giveaway! I hope someone truly deserving wins it :) Good luck to anyone joining! I could definitely use an extra $500. I can't wait for my taxes to get here so we can move. trying to move while you're 7 months pregnant is a pain. That is such a generous giveaway! Someone will be very please to receive this prize!! This is an amazing giveaway. i could really use $500 cash. The best gift anyone could receive after all the holidays is cash. Thanks for the chance to win. Happy 2015 to you. That is such an amazing giveaway. You really can't go wrong with cash and I know everyone could always use a little bit more. What a generous and amazing giveaway! Thank you for hosting! Wow! Wow! What a great giveaway. Thanks so much for sharing. Can't wait to see who the winner is. Wow what a wonderful prize, who ever wins this is going to be SO over joyed! When is the winner announced? This is such a fabulous giveaway! Good Luck to those who will join!